You'll flip your lid at these. 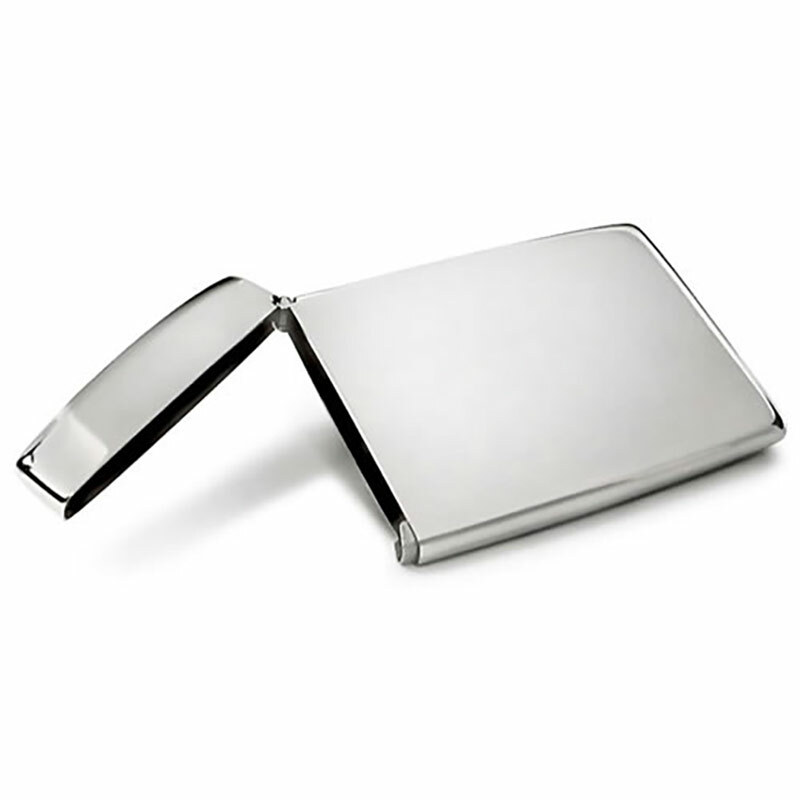 Fine quality polished stainless steel business card cases featuring a handy flip top lid. Offered with free engraving of text and logos, along with low, fixed price UK delivery. These practical and stylish business card holders make distinctive and memorable corporate gifts or logo engraved merchandise, and are guaranteed to show your company or brand in a professional manner every time you and your team present your business cards. Each card case holds approximately 10-12 standard business cards.